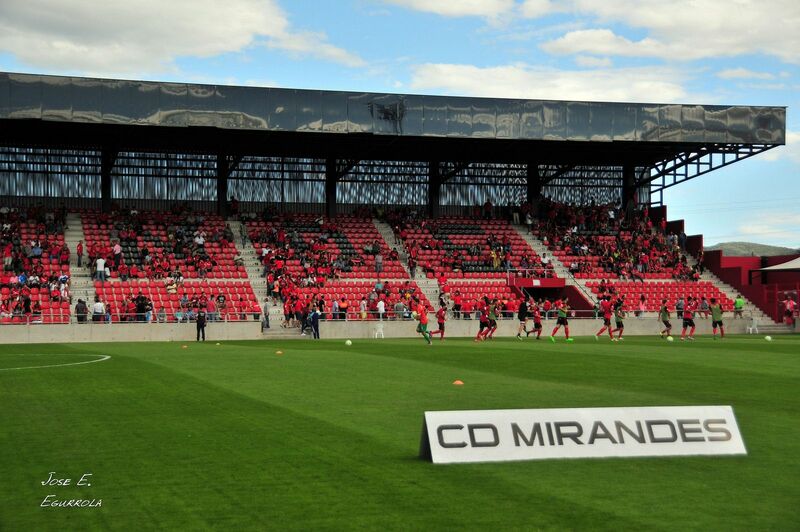 North of Spain, but south of the town of Miranda de Ebro lies this football-specific stadium, home to CD Mirandes. It bears the name of its district and street – Anduva. 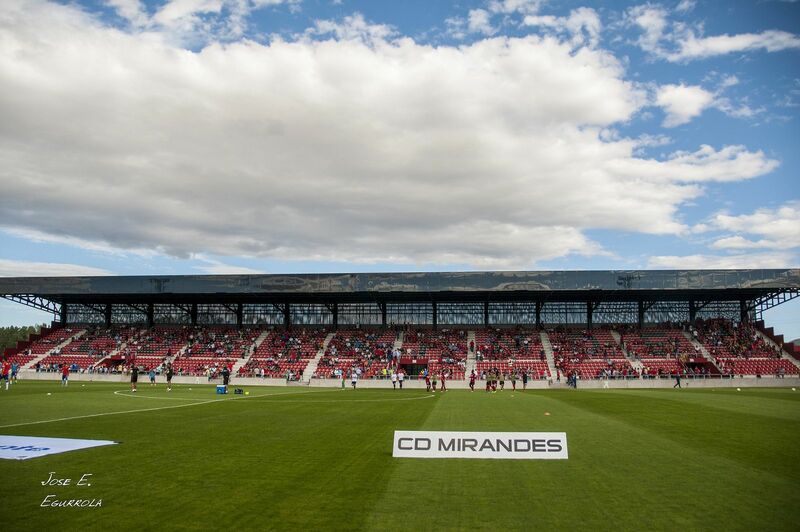 The stadium is picturesquely located almost outside of town, just 80 meters of the Ebro river. Official opening took place in early 1950, but in fact the first game happened in late summer of 1949. 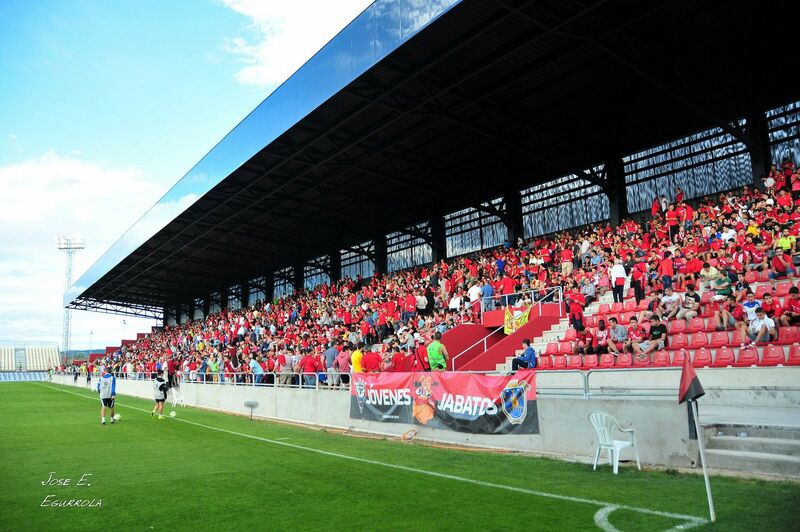 Over the years its capacity was around 6,000 and the biggest section was the southern terrace, covered after initially being open to the elements. 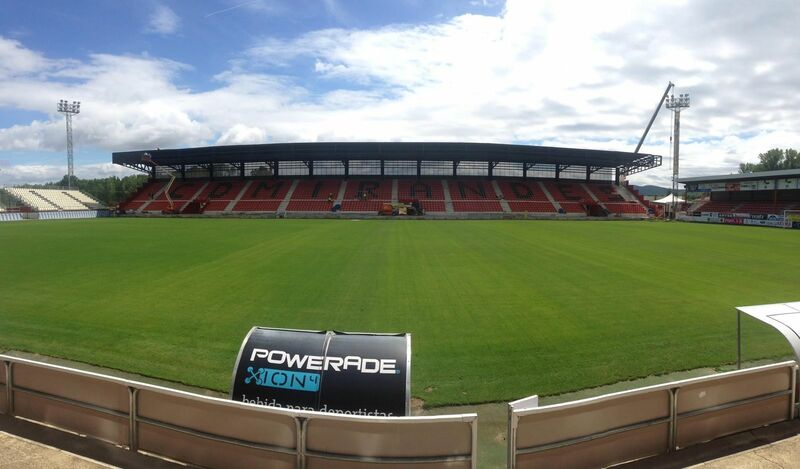 Major changes began in 2010, when new south sections were opened, offering seating like the western main grandstand. 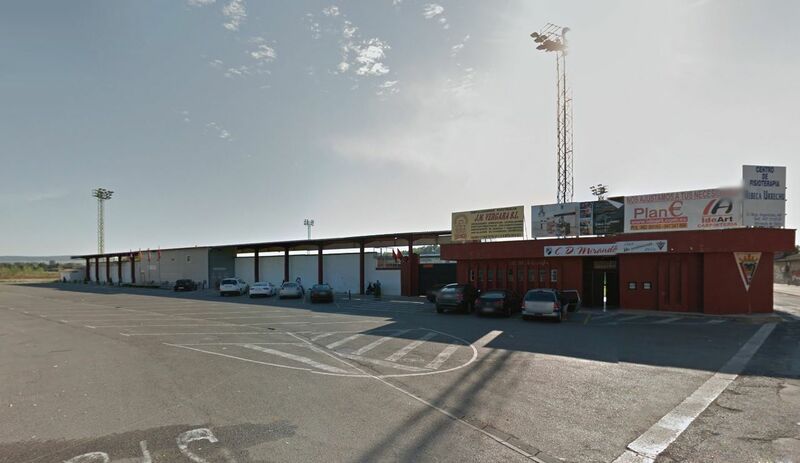 Then in 2015 a brand new east side was also erected, removing the last standing places from the stadium. 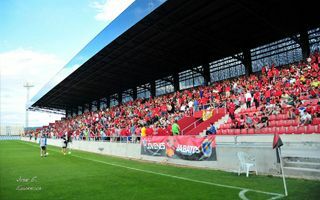 Eventually also the northern stands should change as the team succeeded to remain in Spain’s second league for three consecutive seasons.